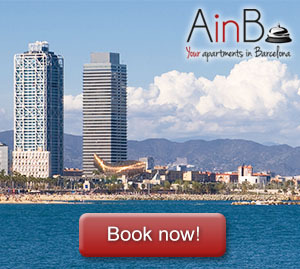 Barcelona is one of the world´s capitals of architecture par excellence. Its skyline, that is composed by works perfectly combined in classic and contemporary style through the best examples of world modernism, makes the Catalonian capital a reference for architects but, what can we find beyond the footsteps of Gaudi, beyond the jewels of modernism and contemporary examples like the Agbar tower? Which of the best hidden buildings in Barcelona worth a visit? On the occasion of the celebration of the 48h Open House, the seventh edition of the festival of architecture that offers public access to all the unique buildings in the city, we show those architectural corners of Barcelona that rarely appear in guides. The term “cheap house” is not derogatory in the case of the humble buildings that the festival 48h Open House allows us to visit year after year. They are beautiful buildings made in the same style of the typical constructions of southern Spain where the houses are located at street level, with gabled roofs and painted in pure white except for the frames of the windows. 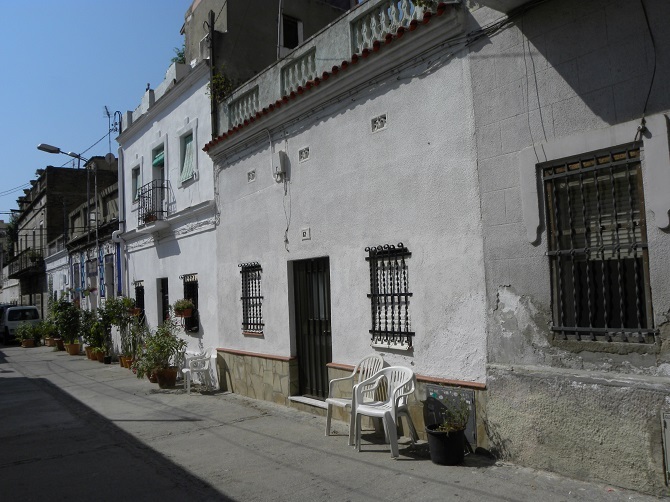 Their name “cheap houses” is because they weren’t built by real estate companies, but promoted by people from the neighborhood and often built by its own inhabitants: humble people with little resources. 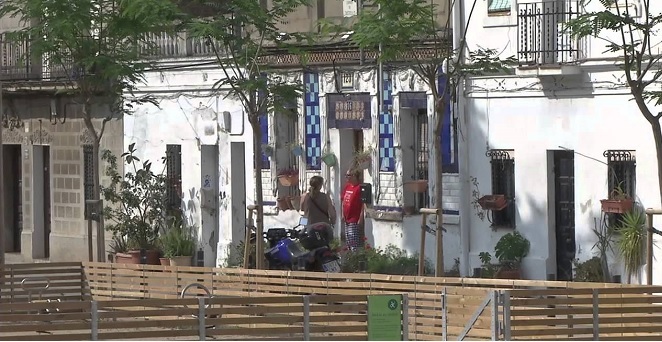 Today, it survives among blocks and that makes it a real visual and speculative oasis, where you can enjoy the peace of a village of Barcelona of the last century, escaping the frenzy of the metropolis at times. Thanks to this festival, we can go inside of one of these houses in the Colonia Castells in Entenza Street (Les Corts district), the Bon Pastor (Sant Andreu district) and Can Peguera (Nou Barris district). 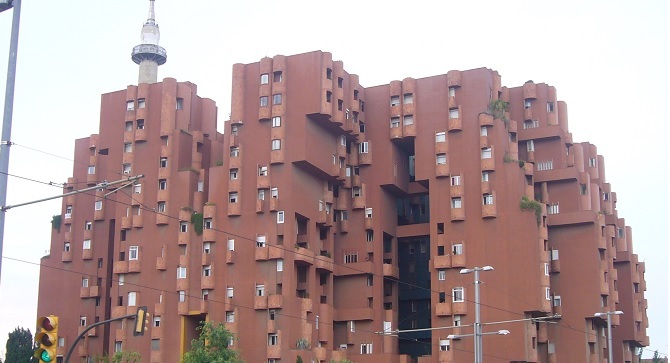 If cheap houses are known for their placid distribution at street level, buildings such as the one of Grup d’habitatges Canyelles (Nou Barris) or the Walden 7 (Sant Joan Despi) are authentic moles that function as city cores. 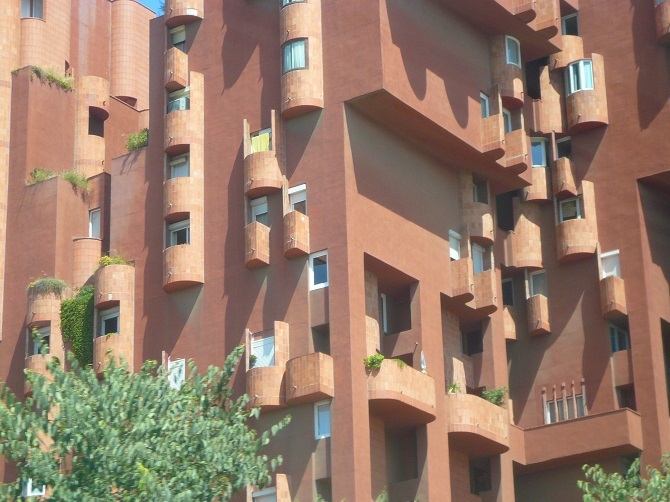 In the case of Canyelles, the idea was to deploy the concept of one building typical of the Eixample islands and move it to housing estates, where towers with a central space between them were built. In the case of Walden 7, we are before a futuristic project at the hands of the renowned architect Ricardo Bofill in which he wanted to capture- in a single block- this concept of vertical city: a rambling combination of blocks linked together as one, where corridors play the role of streets, small shops, gardens and other street infrastructures taken, literally, to a higher level. 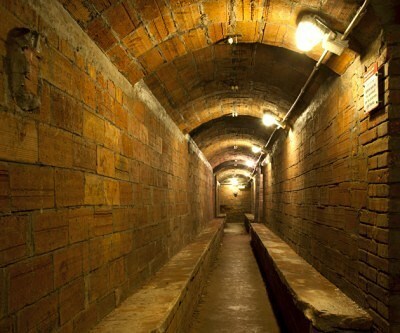 Over the last years, Carmel’s bunkers have earned their deserved reputation: these are some air-raid shelters located atop a majestic hilltop that offer excellent views of the skyline of Barcelona. But they are not the only memories of the fateful Spanish Civil War living with the modern Barcelona: under the lively Diamant square, there’s a set of galleries where thousands of civilians found shelter from the bombings, as well as in the popular and traditional neighborhood of Poblesec, where they found also shelter under the base of the grateful mountain of Montjuïc. During this festival, it is possible to visit both of them. 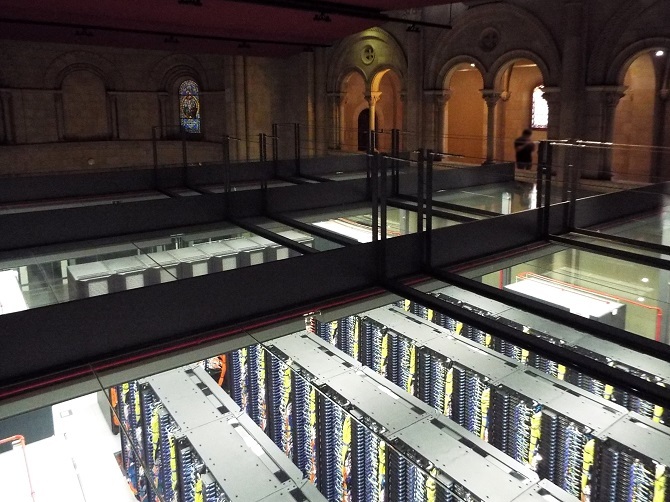 Apart from these, you can also visit one of the most important technological infrastructures in the world: the supercomputer Mare Nostrum, which is “hidden” in the chapel of a manor house in the neighborhood of Pedralbes: in the Girona tower. Neighborhoods next to the Collserola like Montbau, one of the most important trading ports in the world, sanitary cities such as the Vall d’Hebron… In total, there’s more than one hundred offers that open their doors during one weekend a year, and remind us that Barcelona is more than just Gaudí and Modernism, and that there is a traditional Barcelona who lives hand in hand with the cosmopolitan side of the city, and both await us with open arms throughout the whole year.